A leaner, meaner and more realistic cut which retains the nihilistic mood and tone of the theatrical cut and minimizes the poor characterization and excess 'emotional' moments resulting in a far darker and better Monster movie... The stars of this version are not the humans, but the monsters. The theatrical cut, while getting a few things right (namely the tone and mood), ran for far too long focusing on paper-thin clichéd characters: the all-American hero with obligatory wife and kid, the determined but conflicted general, the noble scientist, the not-crazy-after-all kook, etc etc. I love the way the monsters were shot, especially in the fight sequences, but they were way too brief to justify the running time. Moments of monster action were continually bogged down by needless 'human' moments, unbelievable acts of superhero-ism by the lead, and worst of all, this nihilistic tale of the arrogance of man is marred by a typical Hollywood happy ending. I put together a faster paced cut which focuses on the core of the story-- much more emphasis on Dr Serizawa and the military team (relevant to the situation) than on Brody's family (all irrelevant in the big picture) and their attempts to stop the monsters. The dark mood and foreboding tone of the original is retained. If you enjoyed the theatrical cut, I agree that I'm cutting out and losing the (arguably) "emotional" moments of the film (family, power plant, etc) but its only to get a better Monster movie, which is what it is in the end. 4. Mine sequence cuts to San Francisco 15 years later. Cut Ford tucking son in/ making out/ packing. Phone call during homecoming party leads to Japan. 6. Trims to Ford and dad in quarantine zone / Janjira plant. 7. Cut Elle (his wife) and son watching news at home. 8. Cut Cranston being choppered away--he dies in the initial attack and is never seen again. Ford and Seruzawa alone are helicoptered to the destroyer. 9. Cut shots of Cranston in bodybag. The debriefing is left intact--I thought this sequence was great. 10. Cut Ford going to Hawaii --He is not a monster magnet like in the theatrical cut, and is NEVER in Hawaii. 13. Las Vegas --cut the Elvis "Devil in Disguise" suite. This scene was illogical. Why would a military squad break into a hotel suite? Was the President staying there? 14. Cut Seruzawa's Hiroshima watch scene. Too heavy handed. Nukes are bad. Haven't seen this since the cinema, and when I saw it then I was bored out of my mind. This edit filters out all the unnecessary drama and streamlines the film into a simple monster movie, which is all it ever needed to be. 43 minutes were cut, which is just mind boggling. I didn't miss a single bit of footage - if anything I'd say that the set up is still maybe a bit slow. Narratively, I liked the decision to have the wife die (or at least, fate ambiguous), however, it would have been good to have her introduced as a paramedic, rather than just randomly seeing her in uniform (minor, minor qualm, though). Quality was top notch and editing was seamless. I noticed one audio transition, but it's very easily overlooked. The Bonus Short also had a rather dodgy fade from one piece of music to another at the end when transitioning into the credit sequence (you can hear the clash as the tunes overlap). No one can complain for the lack of Brian Cranston in this edit. His performance in the theatrical was great, but his beginning scenes were pointless. Thankfully, the editor puts this cut footage into a short, which also makes for a great optional prologue. I wouldn't call this a great film, but it's certainly a spectacle. A good, solid monster movie that doesn't overstay it's welcome. Far superior to the theatrical cut. Hats off to the editor. Very well done. Thank you very much for enjoying the edit! I think leaving out the bulk of Cranston's part to play in this story was definitely the right call by Kris for this edit. Everything we need to know is already there in the moments with his son, and it is better to envision this all in our heads, as the imagination of what happened provides even greater attachment and atmosphere. Other changes really help make this feel a bit more urgent, and altogether a bit more real, I appreciate that not everyone makes it out, it raises the stakes significantly and makes us think about how much of survival is down to not just skill, but luck. The edit moves at a quick pace and the tone, slightly more downbeat, is more appropriate for this kind of film. Expect monster movies to always be monstrous, ripe with conflicts and, more importantly, consequence. Rangerkris serves Godzilla's spirit well in this effort. Decided to have a giant monster double feature with Rangerkris' Godzilla and Pacific Rim. My feelings about this edit fairly similar to the previous reviews.... a very good looking edit loaded with great monster action. But I felt the removal of the Power Plant weakened Cranston's role and the cutting back on his son throughout the film made an already uninteresting character even more forgettable. I wonder if Cranston's scenes could have been augmented with at the very least, very brief intense flashbacks to greater sell his trauma and engage the audience more? Or flashbacks of the son with his father, to strengthen their relationship and give his quest more weight? Also, I wish the watch/Hiroshima moment had been kept. To me, this is a core element of the Godzilla mythos and should never be forgotten or dismissed no matter how obvious it may feel to modern audiences. It would have been nice if the final night battle had been brightened a little bit, as I found it still a bit too dark to clearly make out entirely what was happening on the screen. And while I did not mind the darker ending, it might have played stronger if Kris had replaced the final music of Godzilla awakening and returning to the ocean with something more ominous and less heroic. But at the end of the day, this is still a fun, fast paced monster rumble movie. I enjoyed it as an alternate cut, and I think Kris did well with the limits of the original source material. I guess myself and Ranger had the same feeling about the theatrical version of this movie. I liked the theatrical one when I saw it in theaters but that's it, I just liked it. I wasn't blown away as I felt I should have been after viewing the trailer for it. So coming Into this I was very excited and anxious to check it out. 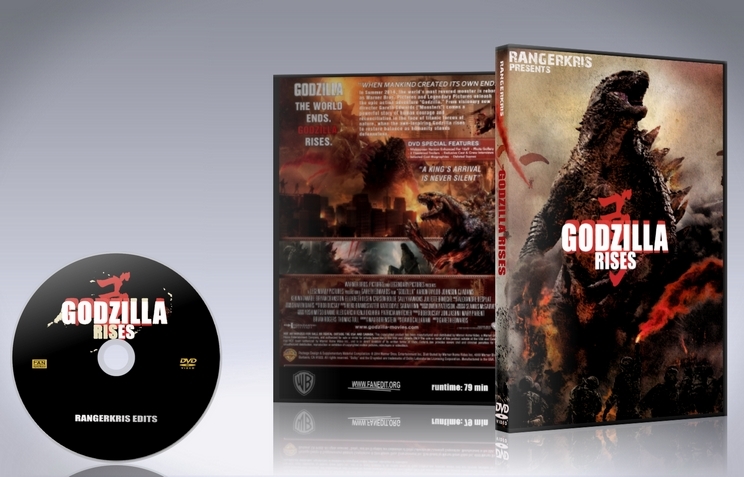 Everything you did with this edit I feel is better than the theatrical cut of this Godzilla movie. People can argue about the power plant scene and shows the emotion of the Dad and son part in the movie, but I feel the whole sequence in the fathers apartment pretty much explained everything. All the emotion was there and you knew it without having to see it (power plant scene that is). This edit flowed very well with me and gives me another alternate version to go and watch again. The visuals were gorgeous and the editing top notch. I really enjoyed this edit Excellent job Ranger! I will definitely check out your other edits for sure. The problem is, I didn't care about anyone. Not even Godzilla. That's OK really - it's a monster flick. I've been entertained by many a monster movie just for the action, and certainly the technology these days makes for effects only dreamed of in bygone Godzillas. But writing this a couple weeks post-watch, I can't remember one detail of the battles. Another case where I don't think any edits would work toward your goal, for me anyway. 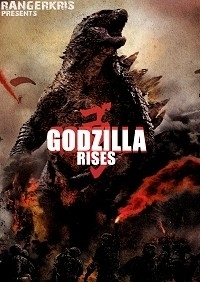 I blame the purist in me partially, because I can't help thinking some franchises should be left alone - Godzilla should be a dude in a suit wandering through a model city! Nice effort though, and it deserves a thumbs up - I'm sure many others will have more positive experience.